Hey everyone! 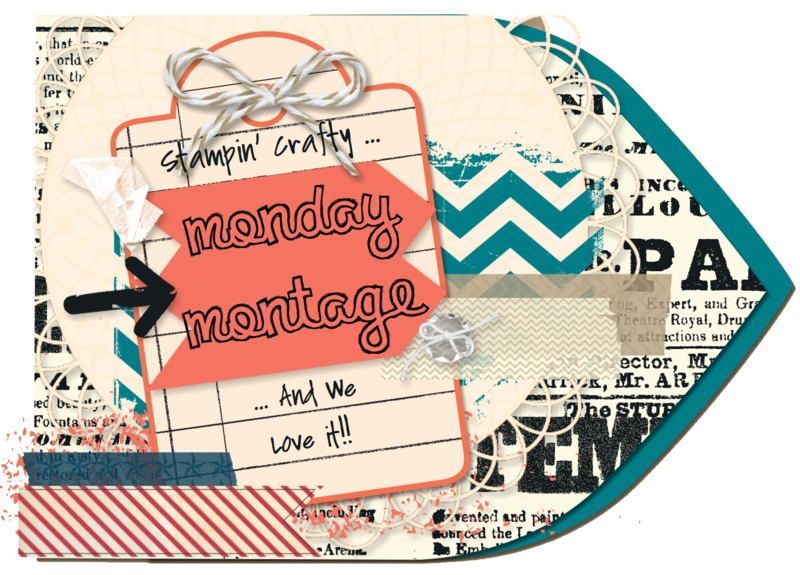 Welcome to another Monday Montage Blog Hop. 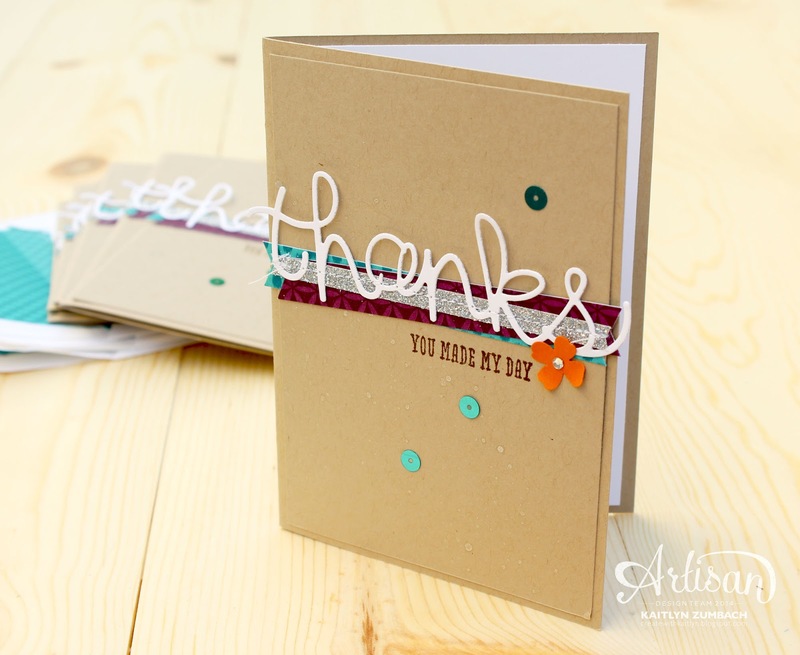 If you are in need of a sweet and simple thank you, I have the perfect card for you. You may have already seen the pieces of this card if you follow me on Instagram, so I am excited to share the finished product with you today! The "thanks" from the Hello You Thinlits and the "you made my day" from the And Many More Set combine for the perfect message. Some strips of Bohemian Designer Series Paper and Dazzling Diamonds Glimmer Paper provide the ideal stage for the die cut to stand on. Also, the Bermuda Bay, Rich Razzleberry, and Tangelo Twist color really stand out against the Crumb Cake backdrop. It is the little things that make this card really special. 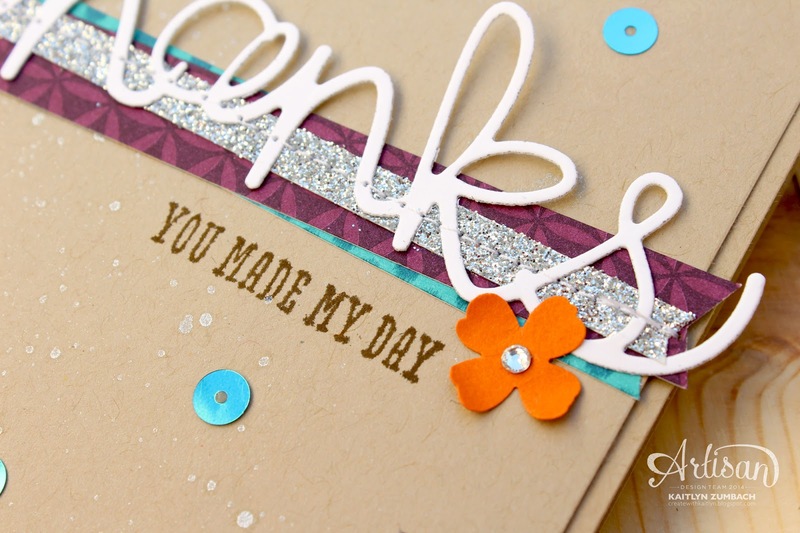 The pop of the Tangelo Twist flower and some Bermuda Bay Sequins are fun details that complete the card. One of my favorite parts about this card is that the base is slightly smaller than normal (cut to 5-1/2"x8" and folded in half) so that the "thanks" and banners hang off the edge; making for a really unique touch. Continue to follow the hop by visiting Melissa next! Love these!! 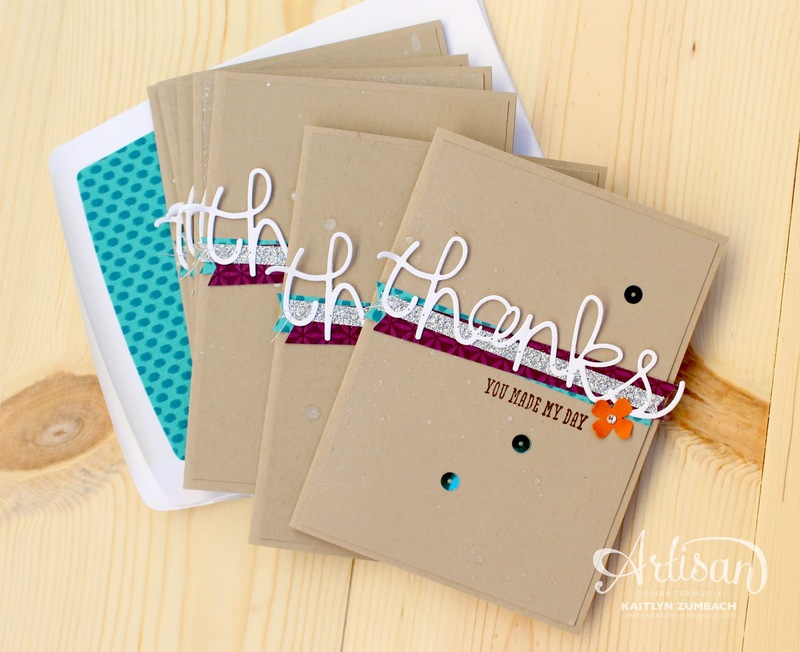 Fun colors for a fabulous thanks! Very cute and very fun! I love the little touches of color against the Crumb Cake.